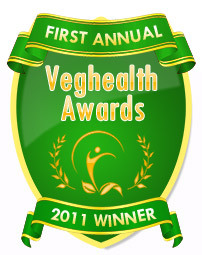 VegHealth Awards 2011 — E3Live WINS!! E3Live® was declared the winner for Best Superfood at the 2011 World Veg Fest Weekend VegHealth Awards held in San Francisco on Oct 1st! Thank you to all who voted for us — we really appreciate it! This past weekend at the San Francisco World Veg Fest Weekend, it was announced that E3Live has won first place for "Best Superfood" in the VegHealth Awards, sponsored by the Vegetarian Health Institute! We want to thank you for voting for us! "...On behalf of myself, my co-owner & CEO, Tamera Campbell, as well as our entire company, I want to thank you from the bottom of my heart for this wonderful award of Best Superfood for E3Live®. E3Live® is a nutrient dense aqua botanical with and is the world's first and only fresh-frozen Aphanizomenon flos-aquae, or AFA for short. AFA can only be harvested from the pristine waters of Upper Klamath Lake in Oregon. Nutritionally, E3Live® provides 65 easily absorbed vitamins, minerals and enzymes and has more biologically active chlorophyll than any known food. 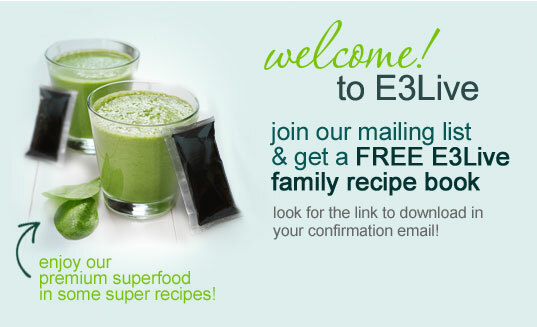 Just knowing how many people love E3Live® really inspires us to continue on this amazing journey of bringing you wonderful nutritious products. Thank you again to the Vegetarian Health Institute and to all the voters for this award, we are deeply honored."